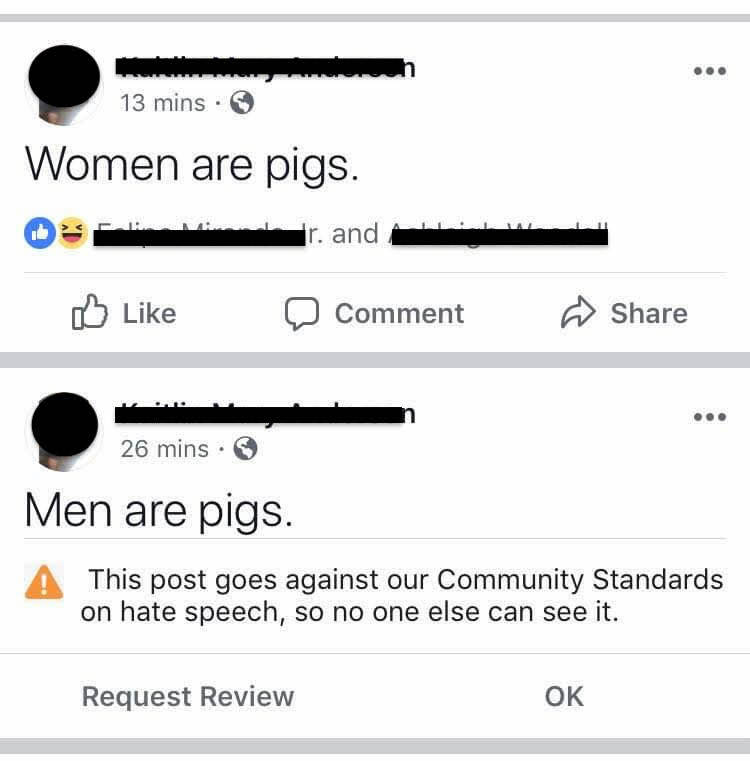 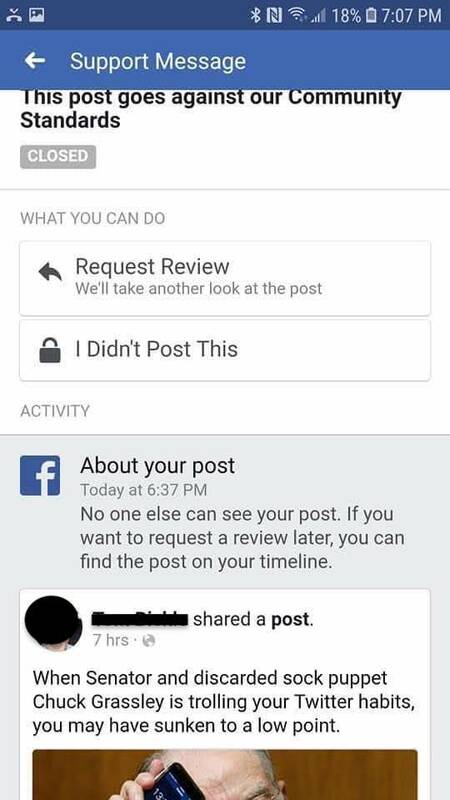 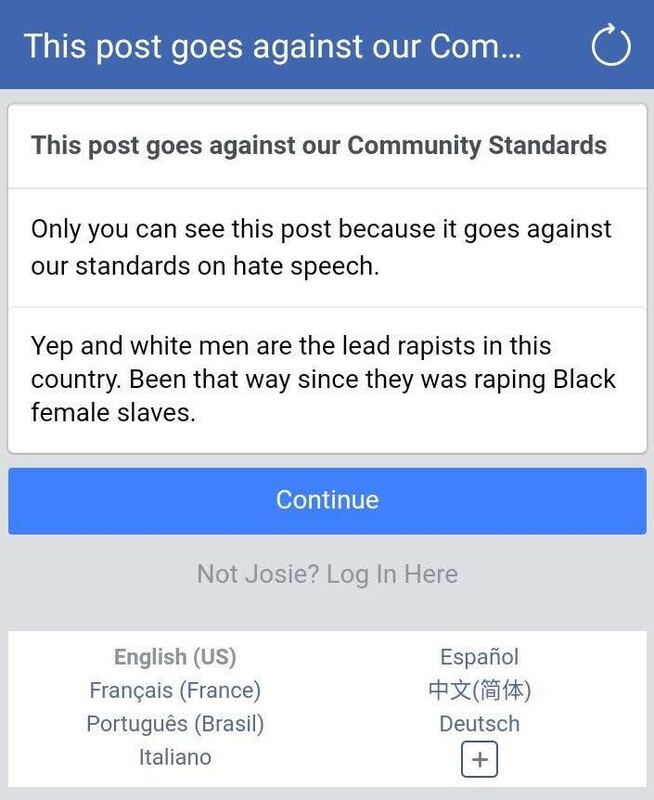 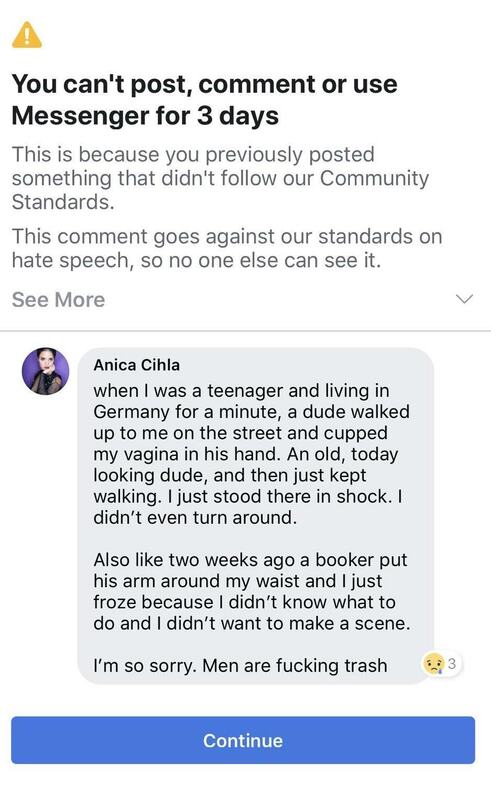 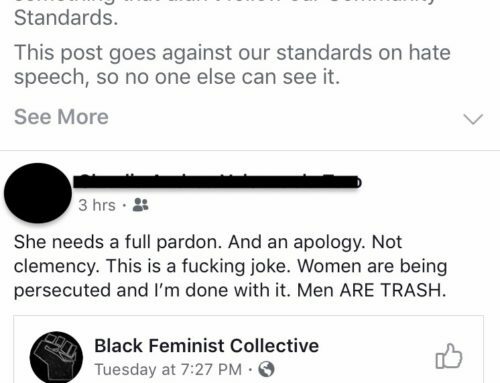 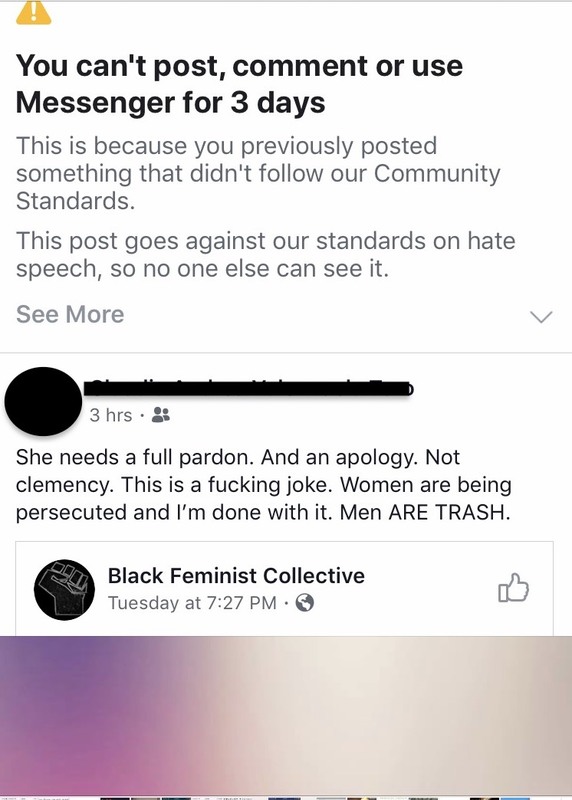 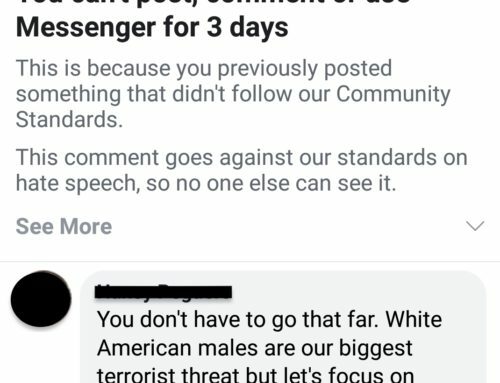 Facebook is still removing women’s posts talking about their lived experiences of sexual assault and past trauma calling such posts “hate speech”. 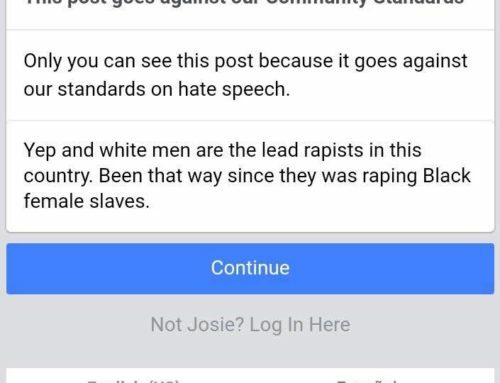 It is beyond comprehension that in today’s world in 2018, after everything that has come to light in the wake of the Harvey Weinstein scandal, the Bill Cosby conviction, and the reawakening of Tarana Burke’s #MeToo Movement into the national spotlight that Facebook could get away with calling real life stories of sexual assault and harassment- “hate speech”. 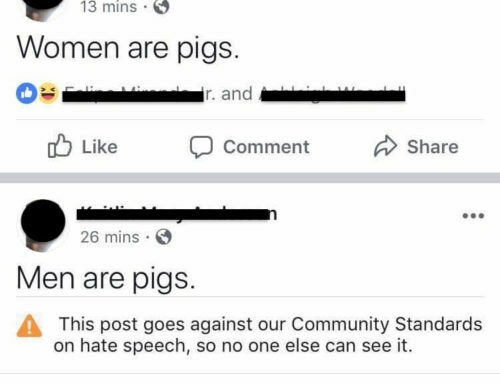 Yet, Facebook continues to call #MeToo posts hate speech, and punish the women who are trying to be strong by sharing their stories by banning their accounts and deleting their stories as if women do not matter at all. 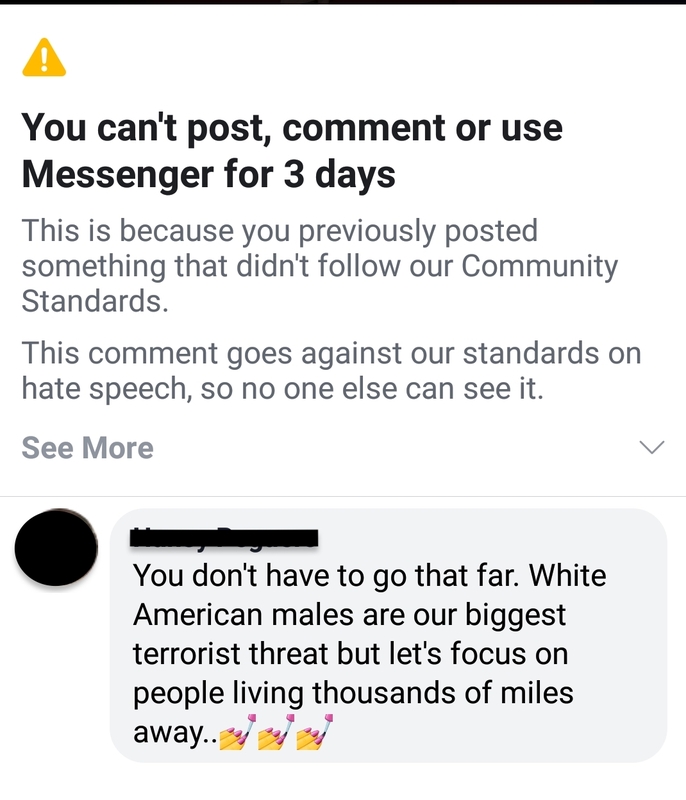 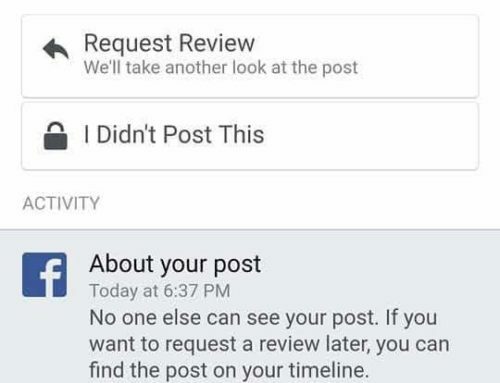 But please Facebook, keep telling the public in prepared media statements that you value all unique voices and opinions even the hate filled ones who deny the Holocaust because you believe in the freedom of speech.